This black beauty is a total stunner! The Diana Mini Petite Noire emits a classic mysterious vibe with its sleek look while giving you convenient 35mm half-frames and squares. 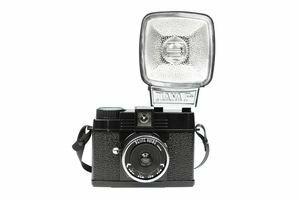 The Diana Mini hails from the famous medium-format Diana F+ family. A beautiful camera, making an inspirational gift. Beautiful gift for anyone with an interest in photography - or anyone looking for an interest!